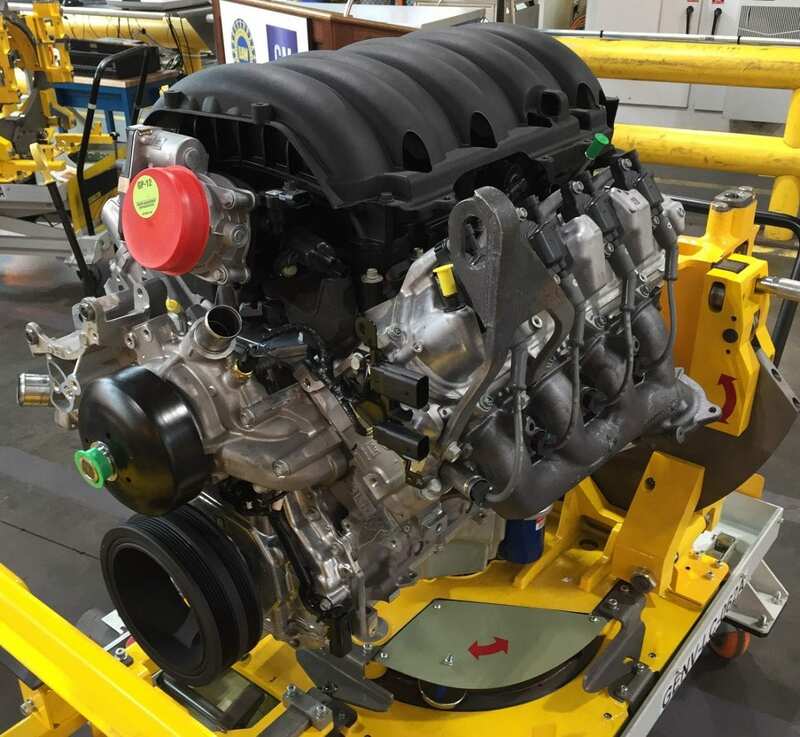 BUFFALO, NY (WBFO) – General Motors’ Tonawanda Engine Plant has been selected as the first of the automaker’s plants to produce a new V-8 engine line that utilizes a cylinder deactivation technology that helps the engine produce only the power that is needed, in order to increase efficiency. Plant officials announced Monday it will result in the retention of 635 jobs. The Dynamic Fuel Management system, as it’s called, updates GM’s 5.3-liter and 6.2-liter V-8 engines. While GM’s Active Fuel Management alternates between four- and eight-cylinder modes, project launch manager Michael Fonte explained the DFM system mixes up 17 different cylinder patterns. “Dymanic Fuel Management is powered by a sophisticated controller that continuously monitors every movement of the accelerator pedal and runs a complex sequence of calculations to determine how many cylinders are required to meet the driver’s requested torque,” Fonte said. Programming for the DFM system includes an estimated 2.8 million lines of code. The new engines will be placed in Chevy’s 2019 Silverado 1500 models. Local news reporters were given a tour of the plant and watched several stations where components were being assembled. Company officials say GM’s selection of Tonawanda as the starting point for production of this engine speaks to the importance the local plant has to the automaker. So, too, say leaders of the union representing workers at the local facility. Ramanujam recalled a visit by Governor Andrew Cuomo in late 2016, when he announced an investment of $296 million to spur further production at the Tonawanda plant. He said instead of talking layoffs the plant is now retaining jobs. Herr said securing those jobs benefits numerous communities where these workers and their families reside.